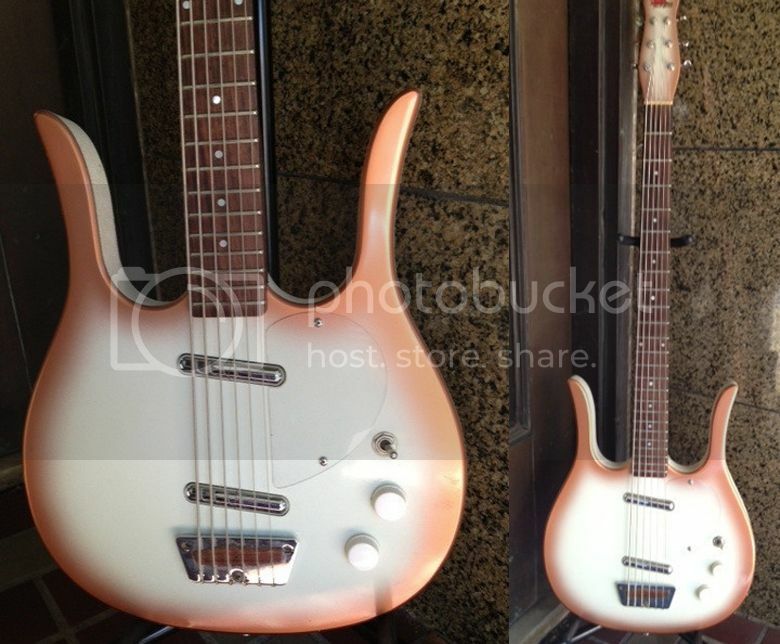 Here's a Jerry Jones 6-string bass, circa 1990-93, based on the original Danelectro Bass VI model as orignally issued in 1956. Jerry Jones guitars are much sought after and are known not to be simply replicas or instruments inspired by the Danelectros of old, but to be improvements on the originals. This lyre-shaped Longhorn - a cousin of the Guitarlin - features a copperburst finish, two lipstick pickups and a 24-fret neck. Currently listed on eBay with a Buy It Now price of $1,595. the baritone / bass VI war is never over - I play a Dan'o longhorn sold as a baritone, with a 30" scale, and for me it's clearly a guitar. I'm also interested in a bass VI (the new Squier is blinking at me) but I'll play it as a bass, though it's probably the same scale... I think that the strings make all the difference - and therefore the fretboard width. I'll tell you more when I have my bass VI (the Eastwood Sidejack is also appealing). I mean this is not idle talk, the topic keeps interesting because it's one of my favorite instruments - I use it a lot in my last project - and it's a big deal to know what is the best way to use it! I have never an instrument like this. 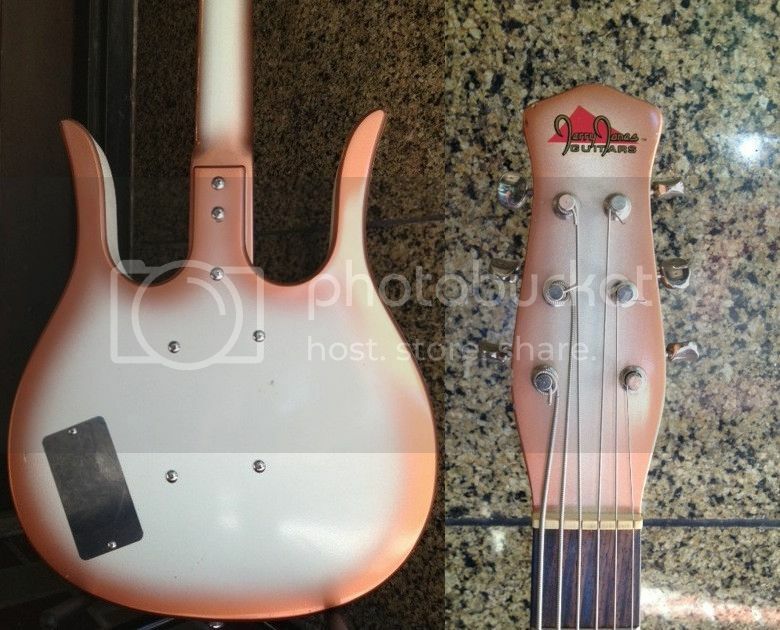 It reminds me of Paul MacCartney's classic 60's bass. Wow, 6 strings! Excellent for prog rock/metal!